Amazon has revealed that it plans to add cash as a payment option at its Go stores. The decision comes amid pushback from several cities and states over the company’s lack of a cash payment option at its physical convenience stores. Lawmakers have noted that cashless businesses pose an issue in terms of ensuring equitable access since they aren’t accessible to consumers who don’t have debit and credit cards. San Francisco District Five Supervisor Vallie Brown, who in February introduced legislation to ban cashless stores, highlighted the fact that not offering consumers the option of purchasing goods with cash is discriminatory towards those in low income brackets. According to a report from CNBC, Amazon plans to add “additional payment mechanisms” at its Go stores. A spokesperson for Amazon confirmed the news but left a few lingering questions unanswered for the time being. The retailer didn’t provide a time frame for when cash would be added as a payment option at existing Go stores, nor did it say how it plans to implement cash payments at Go stores, which previously centered around the “cashierless” element. Kessel noted that Amazon has added new payment methods to its online marketplace, including a pilot that accepts subsidized SNAP benefits and a new program called Amazon Cash which lets shoppers add cash to a digital account by bringing money to a nearby convenience store. “We’ll continue to extend those methods with our stores,” he added. The spokesperson who confirmed the plans said Go store customers would be able to check out, pay with cash, and receive change. 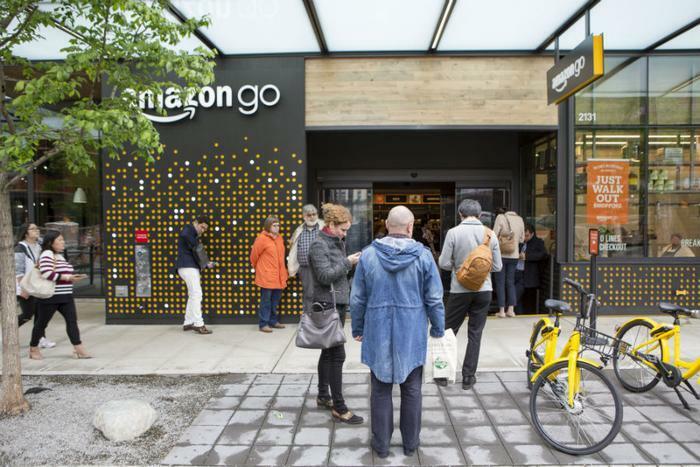 Amazon currently has 10 Amazon Go stores, and reports have suggested that the company could open up to 3,000 cashierless stores by 2021.